An original production, written by an upcoming director, Dhisal Kapuge, an undergraduate of the University of Peradeniya, will be staged on the 1 st of July at the Lionel Wendt theatre. This is the second of his original productions. He aims at finding the right balance between entertaining drama and valid social commentary. The play produced by Gateway College, Kandy, presents itself as a dark comedy, combining elements of slapstick, awkward humour, disturbing plot twists, thrilling sequences and unexpected surprises with deep social commentary. This was produced with the intention of creating a platform where the Sri Lankan situation, as we know it, could be brought to life to an English speaking audience. Why the play was done in English is primarily related to one of the key themes of the play, which is racism. English could be identified as the middle ground for both Sinhalese and Tamils. Although the play is considered an English production, it does not limit itself to one language, instead uses all three languages, making this one of the trilingual plays in the country. The play is heavy on other societal themes such as language, justice, classism, racism, idealism versus realism and family dynamics. 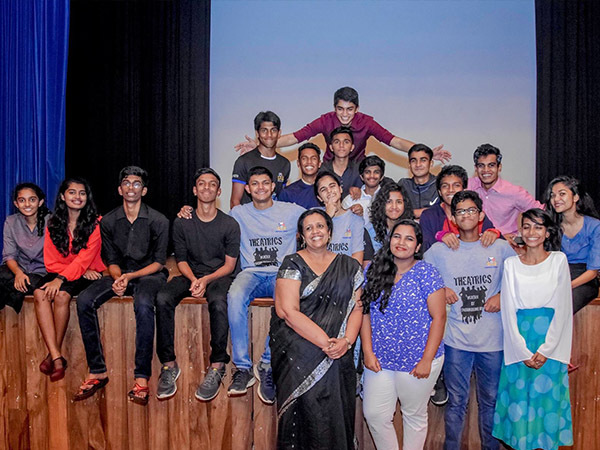 The play had its maiden performance at the Gateway College, Kandy auditorium on the 1st of December and gained a very positive response. Due to its success in Kandy, many requested for the production to be staged in Colombo. Seven months later, with the immense support of the staff of Gateway College, Kandy, the play will be staged at the Lionel Wendt theatre, Colombo, on the 1st of July, at 7.00pm. Tickets are priced at Rs.700, Rs.1000 and Rs.1500. Tickets can be purchased at the entrance on the day of the show. To reserve tickets please contact Kaushal - 077 200 7510 or Jacinta – 077 209 4827. Sachin Siriwardana, a middle aged accountant drops dead during work at his office at Dharmarama road (A fictional place where the rich upper class live in). The cause of death is ruled out to be poison, and the detective in charge of the case rounds up the most likely suspects of the murder hoping to capture the killer through confession. Among the suspects are his wife, Srimathie; his best friend, Dennis; his boss, Nafaz; the office peon, Freddie; his domestic aide, Deepthi; and the lady next door, Kamini. The detective leaves them in a wired room alone hoping they would confront each other leading to the real killer to be exposed. The drama revolves around a ‘whodunit’ mystery where the various confrontations unravel who the characters are, leaving bread crumbs for the audience to find the real murderer.